FORMER Central Bank governor Ewart Williams says citizens should not expect “good times” economically with the country still facing so much debt. “The economy is turning around slowly in the sense you are getting some good news from the energy sector and I think that if you look far enough I think confidence of the private sector seems to be improving somewhat. The problem is that the public sector is still an issue. You are in the middle of Petrotrin and the debt is still an issue. And therefore the budget still requires significant adjustment. “So people tend to be looking for ‘good times.’ I am not sure you could expect good times now because you have a serious debt problem that you need to deal with. 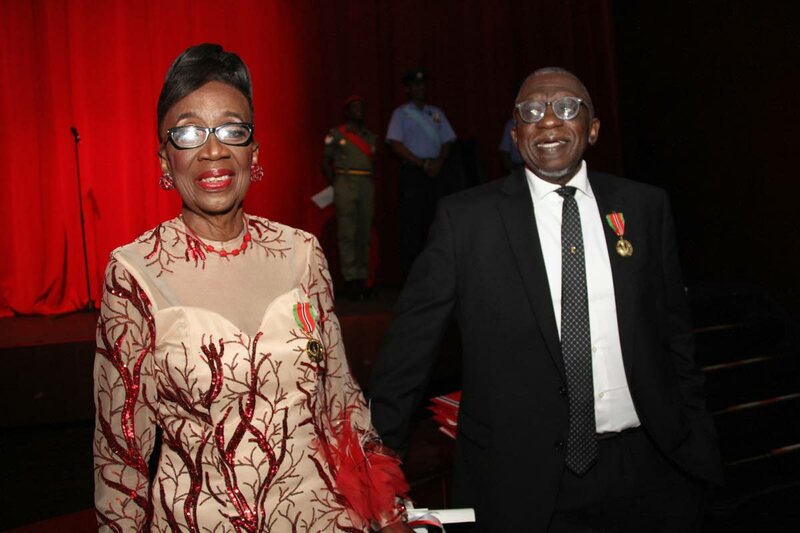 Williams, who served as Central Bank governor from 2002 to 2012, said he felt satisfied and elated to receive the award. “Because it is a recognition that you did something that contributed in some way to improving the lot of the public. And I think that leaves a good feeling.” He said one thing he is proud of is that there is a Central Bank and people know its function somewhat better. 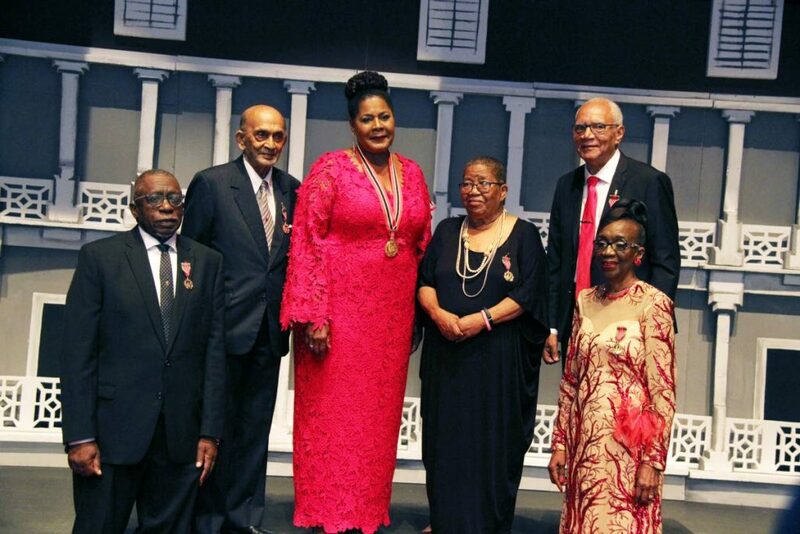 Also receiving awards was calypsonians Willard “Relator” Harris (Humming Bird Medal Silver) and Winston “Explainer” Henry (Hummingbird Medal Gold). Harris said he felt good and he was very excited about the award. Asked if he felt it took long to get an award, he responded: “I wouldn’t say so. 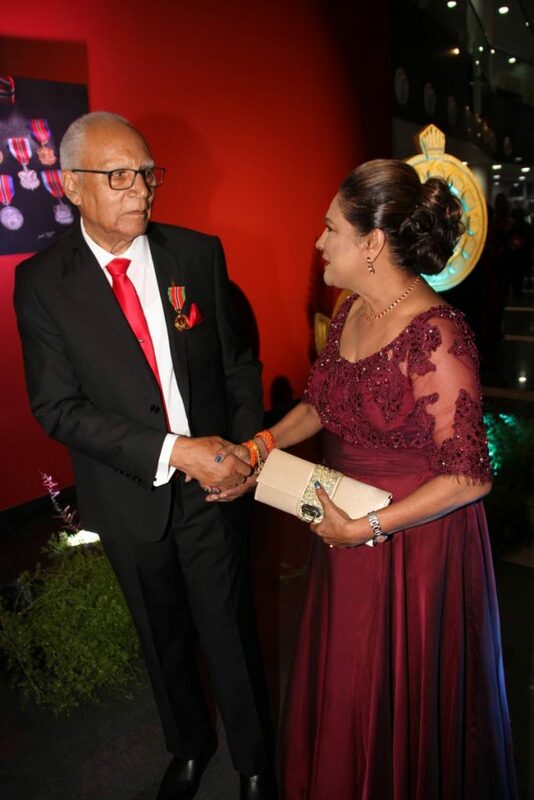 Chaconia Medal Gold recipient Jones P Madeira is greeted by Opposition Leader Kamla Persad -Bissessar, at the National Awards Reception, NAPA. Harris, known for the hit “Make a New Friend,” said the award will go a long way in recognition of the art form. Asked what was necessary to push the art form forward Harris said calypso must be brought into the schools and as part of the curriculum. Henry, known for his hit “Lorraine,” said it was nice feeling when you realise people have recognised what you have been doing in the past years. He said many things have to be done for calypso in TT and firstly with calypsonians themselves. Reply to "Former Central Bank Gov: Don’t expect good times"